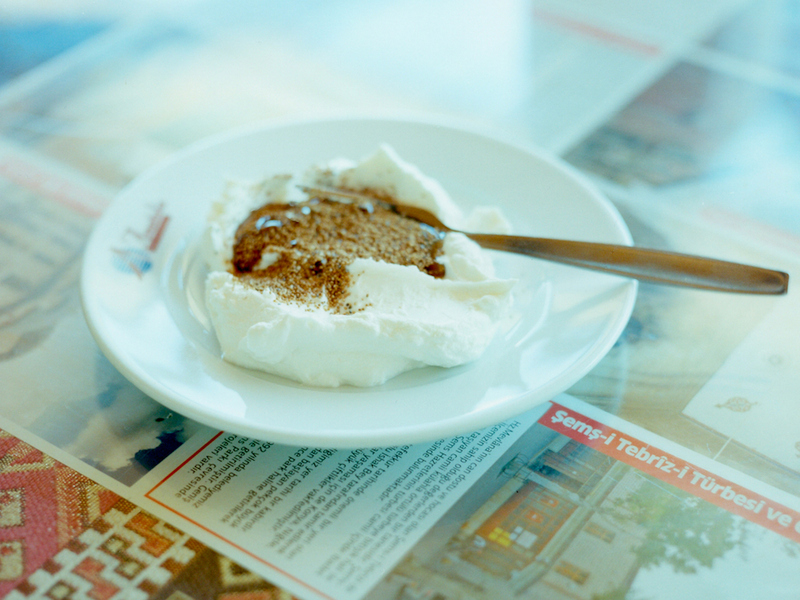 In early summer 2013, photographer Misa Nakagaki had a short visit to Turkey. This is the record of her 7-day bus journey: her sweet and distant memory, full of showers of summer light. 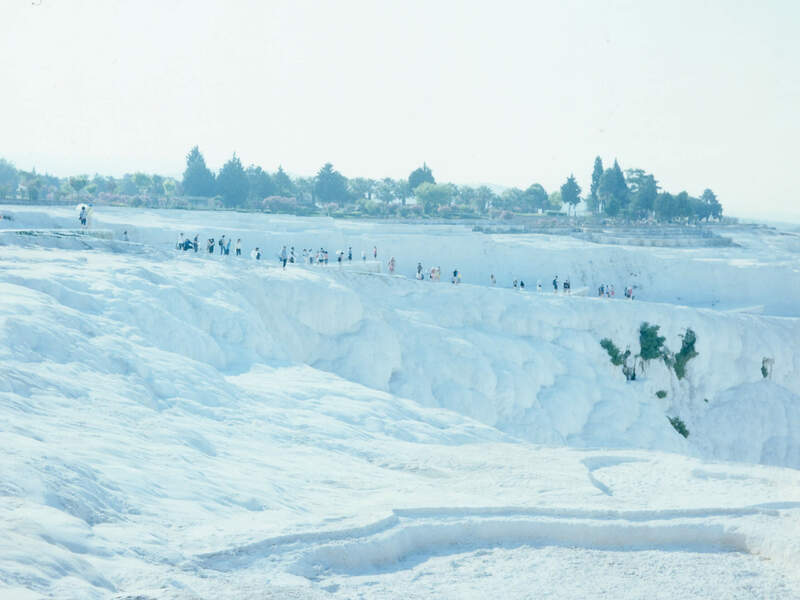 Pamukkale means “cotton palace” in Turkish. It is said that this area is called that because it used to be a production center of high-quality cotton in ancient times. It looks like everything is covered with pure white snow. These travertine terraces were made by deposits of calcium carbonate brought by hot spring water over a long period of time. The sky reflected on the surface of the water, shining in bright clear blue. I took off my shoes and walked barefoot. At the garden in the premises of the Mevlana Museum. Mevlevi is one of the Islamic mystical sects. In Konya, which is the center of this sect, I watched Sema, or the spinning dance. A group of religious dancers wear a white skirt, rotate and rotate endlessly in accordance with the impressive whistling sound. They believe that their rotations represent the movement of the universe, and the right hands of dancers receive revelation from God, and their left hands transmit it to people. 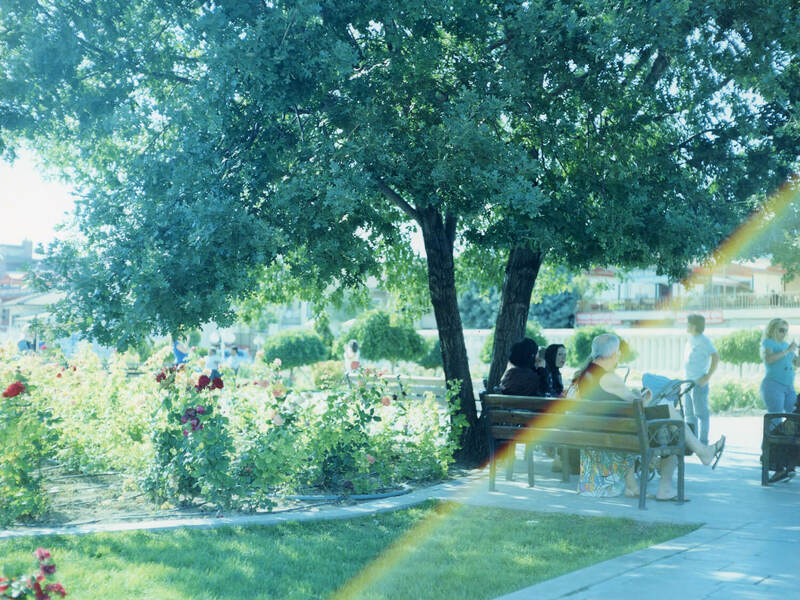 As I left the museum, I saw local people chatting on the bench. A peaceful scenery, but somehow it didn’t seem real, I felt as if I were walking in a dream. 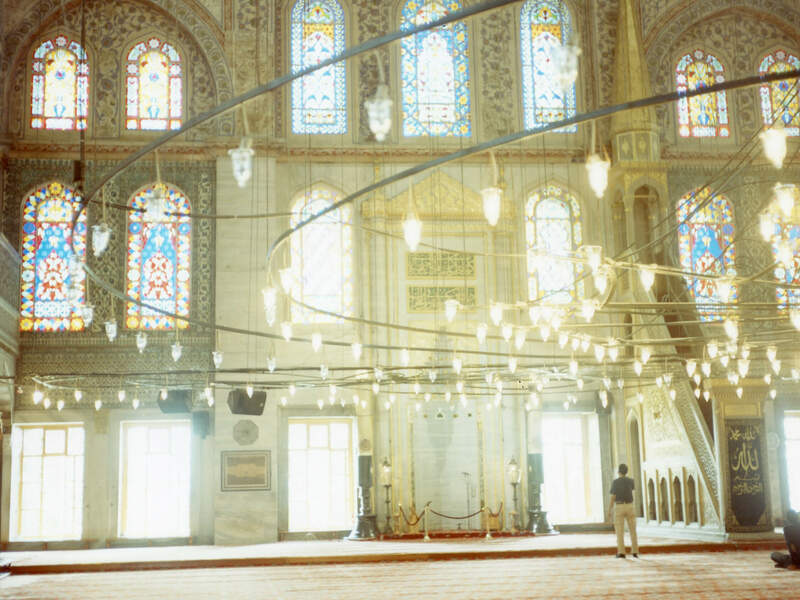 The Blue Mosque, or “Sultanahmet Camii,” was completed about 400 years ago. Built by the famous architect Mimar Swinan of the Ottoman Empire, this mosque is said to be the most beautiful mosque in the world. The inside was decorated by stained glass windows of delicate motifs, illuminated by bell-shaped lights, everything was so fantastic. I dropped by a drive-in cafe during my bus travel. “This is a specialty here, so delicious! !” Recommended by a seller, I tried a bit of strained yogurt. The topping of honey and fine-grained poppy seeds made it mild and creamy, it was so tasty. I enjoyed a tiny cup of Turkish coffee, too, which was a nice highlight of my journey. The Bosphorus Strait divides the European side of Turkey and the Asian side. And Galata Bridge is a popular spot among anglers. Here I bought a mackerel sandwich and ate it. 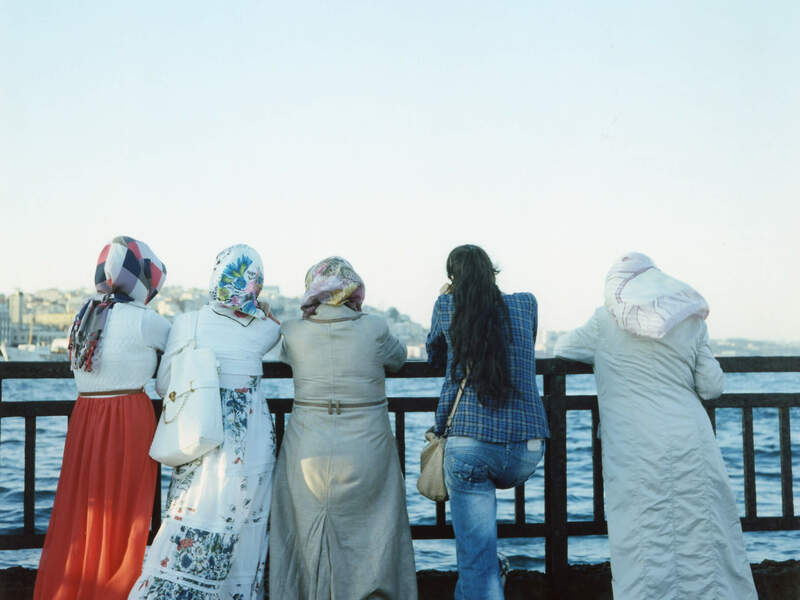 I saw local women wearing various hijabs, looking at the sea. What were they feeling as they watched the sea? Afternoon light was overflowing from the window. I checked in at a hotel in Cappadocia. The hotel was built inside the huge natural rock. The room was like a cave, so beautiful and romantic. The hotel was located on the hill, I could see a great view of Goreme from the balcony. I felt like I had been travelling into an ancient time. I fell asleep, part of my mind still feeling excited.